At Tanium, our Onsite Technical Account Manager (OTAMs) fulfill a vital role in our organization to serve our customers. Operating in a highly-cooperative team environment with TAMs, engineers, and sales account managers, OTAMs contribute to each customer?s success by supporting the Tanium platform and our customers in the field. As an OTAM, you?ll have continuous opportunities to apply your best technical chops in large enterprise environments while building new skills ranging from managing important relationships to scripting. 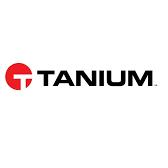 At Tanium, we empower the world?s largest organizations to manage and protect their mission-critical networks. There?s a reason why 6 of the top 10 retailers, 12 of the top 15 US banks, and 4 of the US Armed Forces use Tanium. We provide lightning-fast capabilities at their fingertips to see everything and do anything across their computer networks ? with unparalleled scale. We pride ourselves on being unstoppable in the pursuit of our mission. We are diverse problem solvers driven to do the right thing and win as a team.